Missouri Gov. 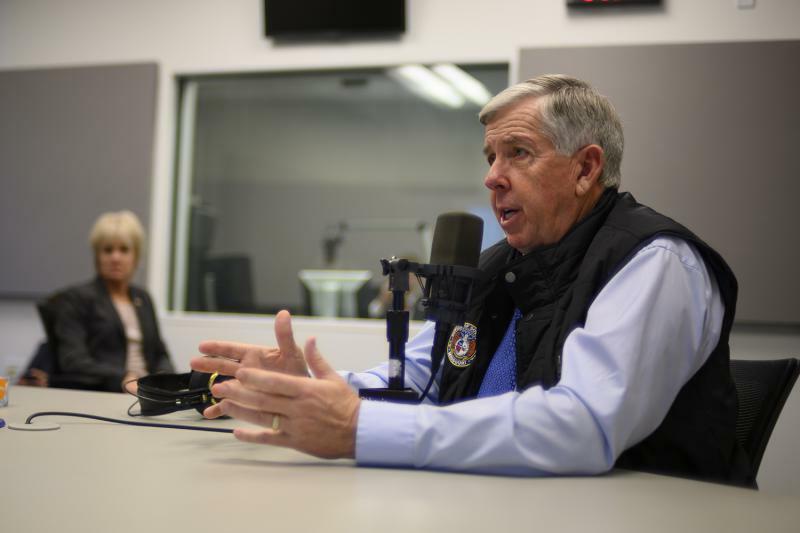 Mike Parson was a guest on KCUR's Up to Date with Steve Kraske on Thursday. Parson said he doesn’t plan to seek another tax increase to pay for infrastructure improvements, and is instead focused on his proposal to borrow $350 million for bridge repairs. Most of the proposed projects are in rural areas of the state, but Parson said that doesn’t mean projects in urban areas are being left out, adding that by paying for the smaller bridges, it'll free up money for larger projects. “We knew all along how that was going to look on the map, but at the end of it, hopefully we can kind of let everybody know that, if you listen to the plan, Kansas City, St Louis, the urban areas are going to be just fine because your projects are all going to move up the list,” Parson said. He now has to sell his plan to state legislators, some of whom are not rushing to embrace the proposal. Parson touted his proposal to set aside $22 million to help provide skills training to workers over the age of 25. He said the No. 1 priority for most businesses in picking a location is the quality of the workforce. “If they start looking at you and say, ‘Well, you guys are really not doing anything in this area, why do we think you are going to expand that?’ ... that's why this workforce development piece, I think, is just crucial for the state of Missouri to draw businesses here." Parson said he wants to see an end to the economic border war between Missouri and Kansas. The Kansas City Star reported that over the past 10 years, the states have spent more than $300 million in incentives to lure companies across their respective borders. Parson intends to meet with Kansas Democratic Gov. Laura Kelly to discuss the issue. Republican Sen. Mike Cierpiot of Lee’s Summit has introduced a bill that would ban companies from Douglas, Johnson, Miami or Wyandotte counties in Kansas from using state incentives to move to border counties in Missouri, as long as Kansas does the same thing. Missouri lawmakers have passed similar legislation before, but Kansas has not. Kelly told the Star they are reviewing the legislation. Missouri Gov. Mike Parson is planning to close Crossroads Correctional Facility in Cameron and transfer prisoners to the nearby Western Missouri Correctional Facility. Missouri Republicans have a firm grip on the state legislature, but among the party’s leadership roles, only one is filled by someone near Kansas City.